No one could have predicted that! Archaeologists found Catholic relics in the coffin of one of the most important leaders of the Jamestown settlement: Captain Gabriel Archer. The history of Jamestown was already interesting but it just got a whole lot more interesting. 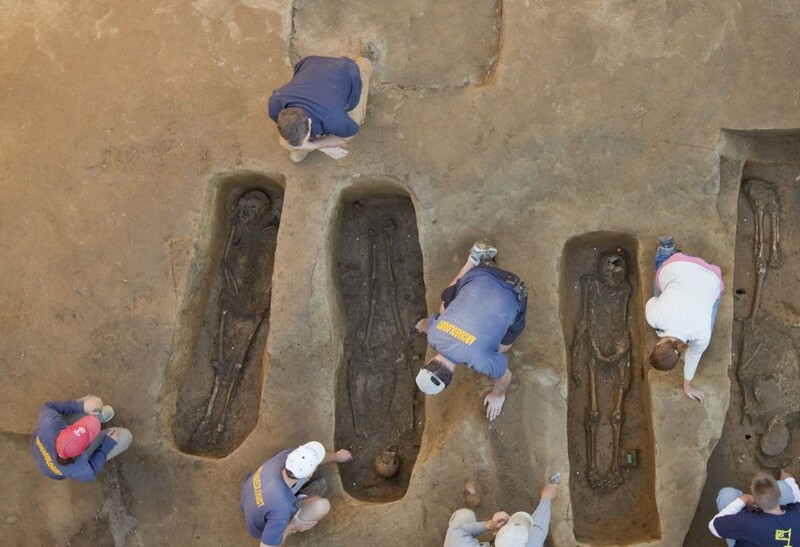 Read about the discovery here: Secret Catholics at Jamestown – The Atlantic. archaeology, Captain Gabriel Archer, Catholicism, Jamestown, Jamestown settlement, religion in the U.S. Fascinating finding! Surprised how quickly the experts conclude these relics were evidence of Archer’s own beliefs and possibly political role in the colony. People do save objects like this from relatives or friends or others because of their tie to the person. Life is complex and objects’ meanings may reflect that. If you read the article, they are actually very cautious in connecting Archer with Catholicism. They also discuss the other evidence that points to his Catholicism.